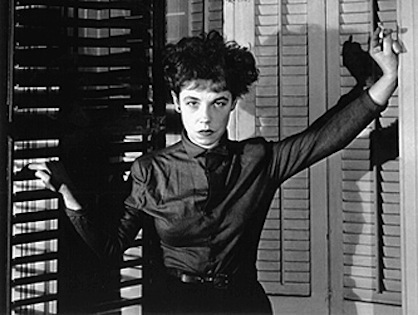 Read Kate Zambreno’s Heroines, Jane Bowles’s Two Serious Ladies, Jac Jemc’s My Only Wife, and Michael Kimball’s Big Ray. Started Blake Butler’s Sky Saw, Raymond Queneau’s The Flight of Icarus and finished Daniel Levin-Becker’s Many Subtle Channels. Zambreno’s Heroines is, on the surface, difficult to categorize. It’s a book length work of both literary criticism and memoir. However, the form works and seems very natural — it fosters my belief that fragmentation is often more natural than adherence to traditional form. Heroines is unashamedly subjective, justifiably angry, and very readable. Sometimes when reading a book I think that it’s something we are going to have to come to grips with as a culture, and this is one of those books. Zambreno has identified an unacknowledged problem — how the literary cannon, psychiatry, and the culture as a whole has sold these women short, and how we continue to dismiss creative young women. I read Big Ray in one evening. I can’t remember the last time I’ve read a book in a single sitting. I’ve got some thoughts on Diane Cook’s story Flotsam, appearing in Redivider 10.1, after the jump. You can read Diane’s story here. It reminds me of Rachel B. Glaser’s story “The Ellens,” which I’ve already yammered about. Both stories focus on young women and contain distorted reflections — Rachel’s story has the tiny, mirror Ellen, while Diane’s has the ghost of a child. There is a repeated theme of miscommunication, particularly with names: “‘No,’ he says finally. ‘My name is John,'” and “‘My name is Lydia,’ she whispers back.” On the surface, this shows that Lydia doesn’t have a close relationship with the men in the story, shows a lack of intimacy. But it mirrors the further disconnect in Lydia’s life, a gap between what she “should” feel and what she actually does. The great strength of the story is in its attention to physical details: the “raw blue” denim under the patched jacket, the way birds chase after the bag as it is carried away by water. The way the father wiggles the bottle of wine. It’s rare to have this much detail in a story and have it not feel extraneous, but all of them feel necessary.